Having a tablet when flying a drone makes the whole process a lot easier, as it allows you to have a much clearer view of what’s going on. Unfortunately, picking the right tablet can be hard, however our list of the best DJI Go compatible tablets should help you out. 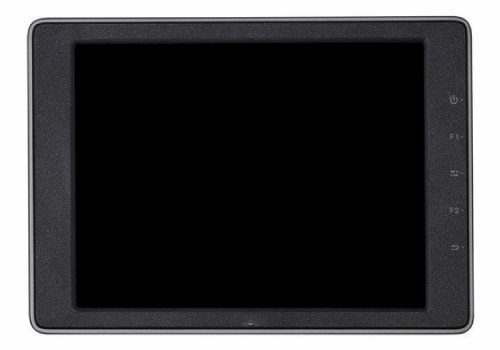 When looking for the best DJI compatible tablet, you should play close attention to the processor. If it is not powerful enough, the app may lag/freeze or crash during use. This sounds scary, but with our list of the best DJI Go compatible tablets, you’ll have the best device for the job. Both Wi-Fi only and cellular tablets will work with the DJI GO app, however only cellular devices will be able to make use of the ‘follow me’ function and be able to change their home point mid-flight. If you would like to see anymore information about the DJI Go app, head over to the DJI website. Before we begin, it is worth mentioning that if you are planning on using a tablet to fly your drone, you may need to buy a tablet mount for your transmitter. ​You will need a mount if the tablet is longer than 6.75 inches. ​You will need a mount if the tablet is longer than 6.8 inches and thicker than 0.34 inches. You will need a mount if the tablet is longer than 6.8 inches and thicker than 0.34 inches. As of March 2019, Apple has surprised everyone by releasing two, brand new additions to their iPad series - the Air and the Mini. First up is the new iPad Air, which features Apples new A12 chip, which is undeniably powerful enough to run the DJI app. One thing to bear in mind with Apple, is that they've publicly admitted to slowing down their older model devices, in order to encourage their dedicated consumers to buying their latest products. So, if you've got an older Apple, and it's lagging a bit, that's probably why! Despite this, iPads are still the way to go for us drone flyers, and their new iPad air is the best of the best. For me personally, the best feature of the Air is the screen size. Despite not being any larger in size, Apple has massively reduced the bezzles of the device, allowing for a whopping 10.5inch screen. 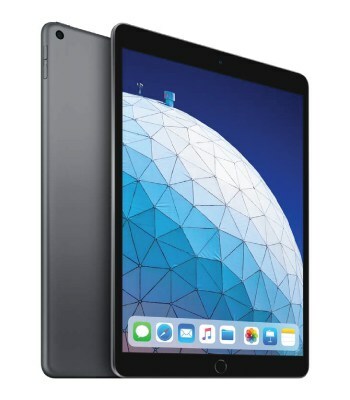 Plus, the iPad only weighs 456g, so you'll easily be able to carry this in your backpack without breaking a sweat. 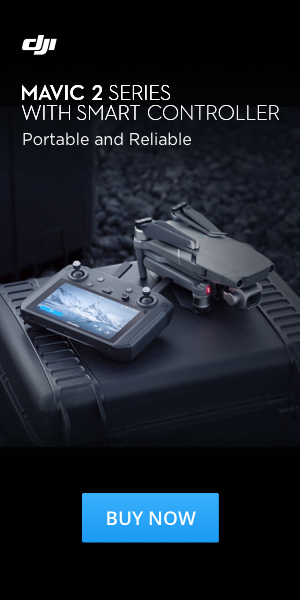 If portability is an important factor for you, then the latest iPad Mini is by far the best tablet for your DJI drone. This little beast weighs in at just over 300grams, yet still features a 7.9-inch retina display, the largest to be feature in Apples Mini series. This allows for a nice, clear view of the feedback from your drones' camera, allowing for precise, stunning aerial shots to be taken with ease. 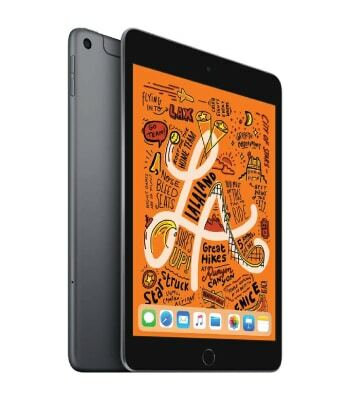 What's more, the Mini features the same A12 chip seen in the iPad air, providing it with more than enough processing power to keep your live feed up and running, hassle free. Of course, you've got both Wi-Fi and cellular options, with the later costing slightly more. However, as this allows you to make use a of number of intelligent flight modes, it's definitely worth the slightly larger investment. All in all, this is the most portable, high quality iPad we've seen to date, perfect for drone piloting and shooting top notch, professional aerial imagery. The iPad Pro is the final iPad model on our list of the best DJI Go compatible tablets, and you can say we’ve saved the best until last. 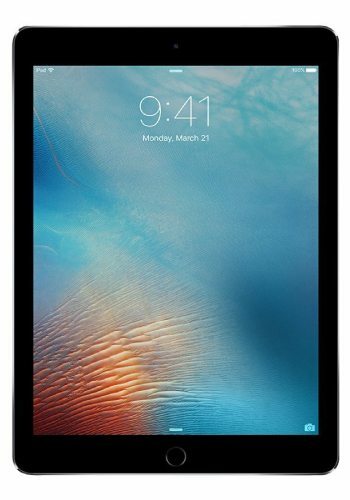 Similarly to the iPad Mini, the iPad Pro comes in two available options – Wi-Fi only and Wi-Fi & Cellular. The tablets storage capacity ranges from 32GB – 256GB with the price increasing accordingly. With a 9.7” retina screen of 2056 x 1536 pixels the iPad Pro provides a vibrant and high quality display that is perfect for drone piloting. The tablet itself is 6.6 x 9.4 x 0.24 inches and weighs 435g. ​The iPad Pro is powered by an A9X chip, a M9 co-processor, which is Apples’ most advanced processing unit to date. The tablets battery life of 10 hours is not only extremely impressive, but more than enough for drone piloting. The Crystal Sky is the only official DJI product on our list of the best DJI compatible tablets and comes in 3 models. These are beginner class, mid-class and pro class. I will quickly go over each one of these, so you can see the differences. Beginner Class: 5.5” screen, max brightness of 1000nits and a 32gb inbuilt hard disk drive. Mid-Class: 7.85” screen, max brightness of 1000nits and a 64gb inbuilt hard disk drive. Pro-Class: 7.85” screen, max brightness of 2000 nits and a 124gb inbuilt hard disk drive. For the rest of this mini-review, I’ll be discussing the mid-class Crystal Sky, as that is the most popular version. As the DJI Crystal Sky is designed and engineered specifically for drone pilots, the screen is able to perform in sunlight extremely well with minimal glare. It is also incredibly bright, being 3.9 x brighter than the iPad Pro and 4.8 x brighter than the iPad mini. The Crystal Sky’s dimensions are 8.1 x 5.7 x 0.6 inches (Length x Width x Depth) and weighs 425grams. The tablet itself is manufactured from durable industrial grade plastic and makes use of IPS screen technology. This makes the screen brighter, with more realistic colours and rarely heats up. Unfortunately you must buy a holder for your Crystal Sky separately, which is annoying but doesn’t stop it from being one of the best DJI Go compatible tablets around. If you're looking for a high quality Android tablet for the DJI Go app, the Galaxy Tab S4 is a fantastic option. What makes the S4 so special? The S4 has been fitted with a larger 10.5 inch screen and has a whopping 16-hours battery life from a single charge. This is incredibly handy if you're travelling with your drone and are unable to regularly charge your tablet. Plus, the tablet can be fully charged in just under 200-minutes, which is fairly quick for a tablet of that size. In terms of storage, the Samsung Tab S4 is available in 64GB and 256GB, with the option of inserting a separate SD card of up to 400GB. ​Although this storage is brilliant, the chances are you'll be filming onto your SD card, so doesn't matter massively. If you want to keep your drone footage on your tablet to look back on. it's safe to say the Tab S4 can hold some serious hours of clips. The tablet itself is pretty damn powerful, with 4GB RAM and a 2.35GHz processor that should easily be able to handle the demands of the DJI app. 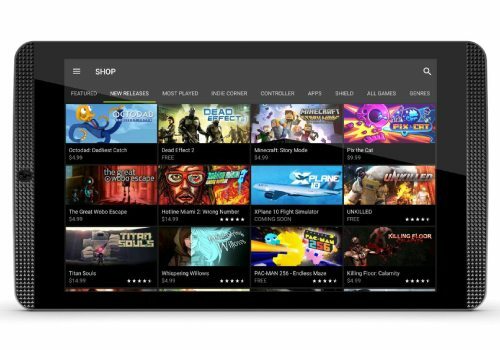 ​Moving onto the NVIDIA Shield K1, which is one of the world’s most popular gaming tablets and has become the go to android tablet for DJI Go. As with most models on our list of the best DJI compatible devices, a sunshade is most likely needed. Considering the Shield K1 is built for gaming, its’ Tegra K1 processor and 2GB RAM are more than enough to smoothly run the DJI Go App. Only weighing 390 grams, the NVIDIA Shield is extremely easy to transport and is perfect for pilots who are on the go with their equipment. The tablet also features a micro-SD slot that can be used to store up to 120gb of data. This is really handy for storing your awesome aerial photographs and pictures that you will undoubtedly be capturing. I hope that you’ve found our article on the best DJI Go compatible tablets helpful and that we’ve made it easier for you to decide. Feel free to get in touch or comment below with any questions you may have. iPad Mini 4 all the way! Can you fly without a smart device? Nope, unfortunately you need either a smart phone or a tablet to fly a DJI drone. If you need to get one cheap, black Friday is coming up soon, so you may be able to get a good price then! Very accurate ….lots of issues with the TAB s2…stay away…. 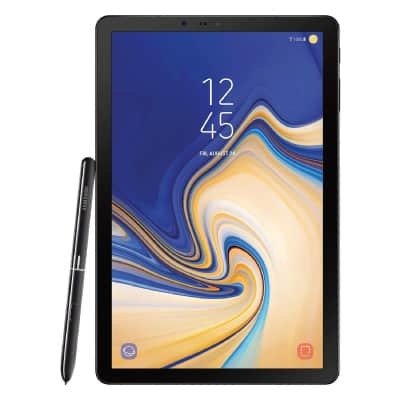 Get a note 4 or TAB S3…. Are you talking about the video quality recorded onto your SD card or the quality displayed on your tablet? The quality of the video feedback on a tablet/ smart phone is always worse than is actually recorded, which is especially true of tablets. The DJI app does save the footage onto your device, however this is just a recording of what the screen sees whilst your flying. If you’re wanting to view your footage in it’s best quality, make sure you have an SD card inserted into the drone and the drone is recording. You can then watch the video file recorded on the card. I’m finding that the Lenovo Tab3 8 Plus 8″ tablet runs Go 4 with ease. Basic specs: 2Ghz CPU, 3Gb Ram, 1200X1920 screen, WiFi and GPS.